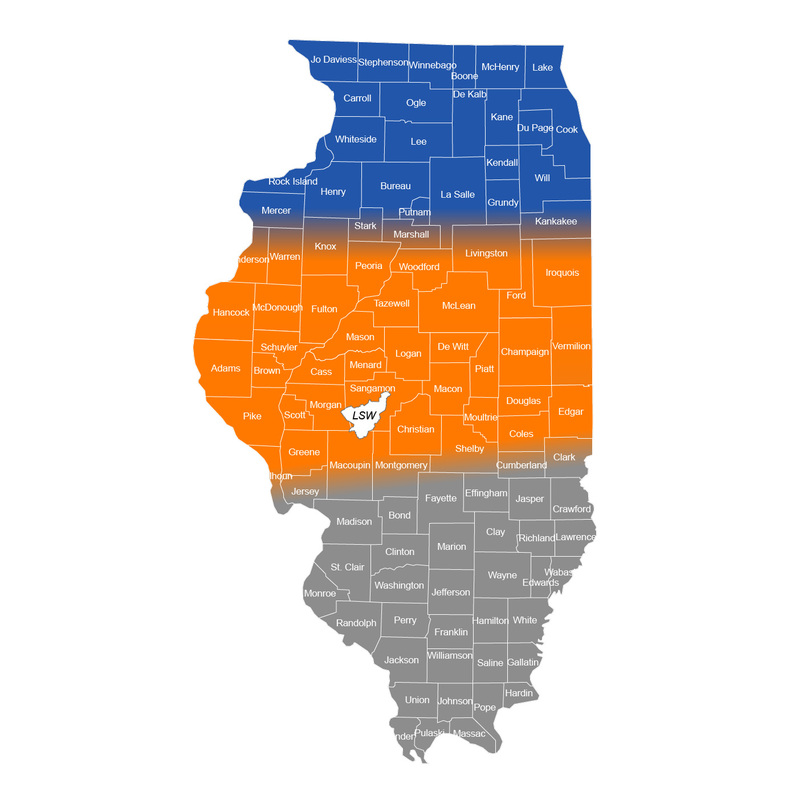 Illinois, Indiana, Iowa, and Wisconsin have been divided into geographic or soil regions to improve the MRTN calculations within those states. Illinois Geographic Region While we know that soils don’t change abruptly when crossing from one region to another in Illinois, N responses are different enough between northern and southern regions, and we have enough N response data to justify dividing the state as shown on the map. Northern and central Illinois join in the general vicinity of Interstate 80, and central and southern Illinois join along and north of Interstate 70, to include in the southern Illinois region those soils with lower organic matter. When in doubt where regions join, assign soils with higher organic matter to the northern of the two areas and lower-OM soils to the southern area. The Lake Springfield Watershed (LSW) area outlined on the map is not an area in which we expect to see N responses different than those in the rest of central Illinois; rather, it’s an area in which a special watershed project was funded, with the goal of producing an N rate calculator based on data from the project area. The data used in the LSW database are also used in the central Illinois database. Indiana Geographic and Soil Region Research trial sites for medium- and fine-textured soils in Indiana are accumulated according to USDA-NASS Indiana Crop Reporting Districts. For sub-state specific N rate guidelines, the crop reporting districts are grouped as follows: NW and NC; WC, SW, SC, and SE; C; NE; and EC. Non-irrigated sandy soils are across the entire state. These recommendations are applicable to N management programs that use efficient methods and timings of N fertilizer application. At five Purdue Ag. Centers where paired trials of corn following soybean (corn/soybean) and corn following corn (corn/corn) were conducted, the average optimum N rate for corn/corn was 44 pounds per acre greater than for corn/soybean. 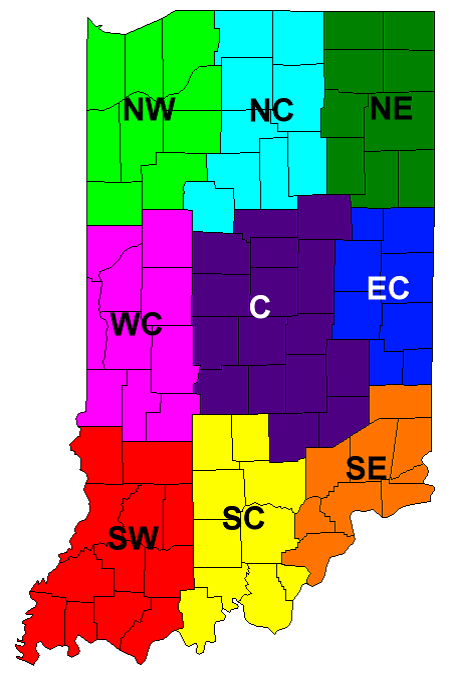 More details about N guidelines for Indiana can be found at: https://www.agry.purdue.edu/ext/corn/news/timeless/NitrogenMgmt.pdf. 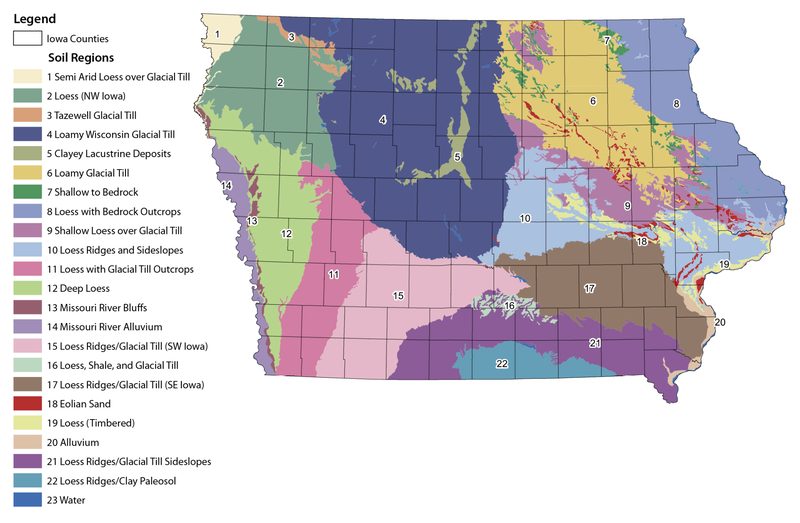 Iowa Geographic and Soil Regions Sites for Iowa are grouped by two geographic regions. The main Iowa region is the majority of the state. A second Iowa region is Southeast Iowa, which includes Soil Regions 21, 22, and approximately the south half of Soil Region 17 (generally about south of highway 92). Soils for trial sites in the Southeast region include poorly drained soils like Haig, Kalona, Macksburg, Mahaska, Nira, Otley, Richwood, Taintor, and other similar soils. If soils in the Southeast region are better drained, then use the main Iowa region. Wisconsin Soil Yield Potential – Soil yield potential groups are designated for medium- and fine-textured soils and are based on soil properties such as drainage, depth of root zone, water holding capacity, and length of growing season. A list of soil series and the assigned yield potential category are provided in UWEX publication A2809 Nutrient application guidelines for field, vegetable, and fruit crops in Wisconsin. Coarse-textured soils (sands and loamy sands) are considered sands for the purposes of obtaining an N rate. Corn grown on sandy soils responds differently to applied N depending upon whether or not the field is irrigated. Thus, irrigated sands have been separated from non-irrigated sands.